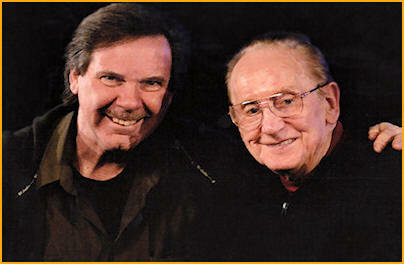 After he first heard Les Paul and Mary Ford, Tom began playing guitar at the tender age of eight years old. 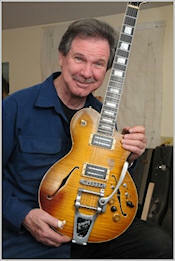 Intrigued by their sound, he began emulating Les Paul as well as the Chet Atkins guitar style of playing. Tom began collecting all the records he could find of his two guitar heroes, Les Paul and Chet Atkins. Then he attempted to mimic their unique style while developing his own. Taking advantage of his musical environment and coaching, he performed in High School. This began the time of the Doyle family performing which later became a brother and sister act. 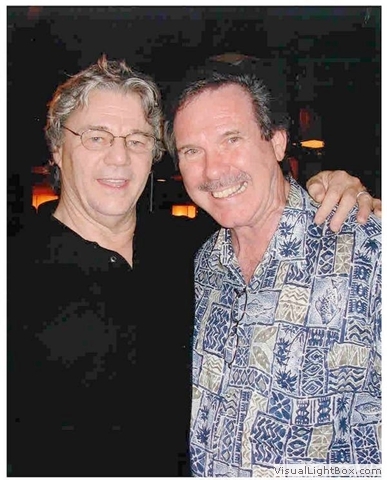 Then the duo worked for the Bitter End in NYC and became the opening act for Richie Havens, the Lovin’ Spoonful, and the Butterfield Blues Band. As he evolved as a self-taught musician, Tom developed his own fingerstyle technique and became known by fellow guitarists as “eight track”. 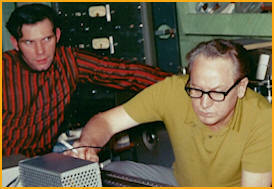 Early on Tom had experimented with amplifiers, speaker cabinets, and tape recorders in order to re-create in a live environment, some of the effects that Les Paul and Mary Ford had on their studio recordings. 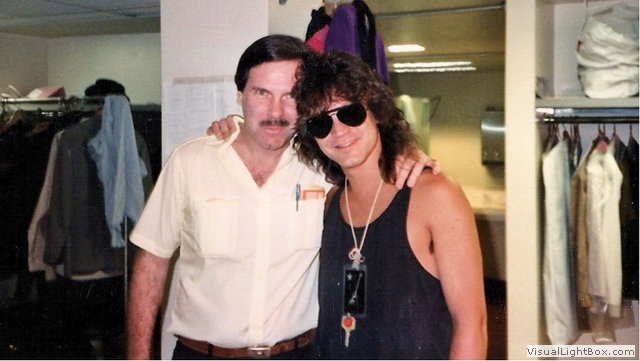 Little did he know that Les would come to see he and his sister play and perform this act. From that point Tom and his sister, Susan continued touring throughout the country working at colleges and universities. 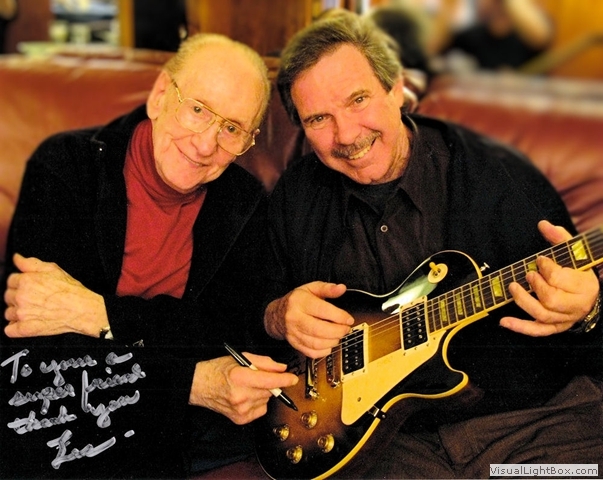 That was the beginning of a friendship and collaboration with Les Paul that lasted over 45 years… acting as Les’ long time luthier, guitar-tech, sound engineer and confidant. Because of Tom’s inventive mind he was always looking for that perfect sound, just like Les. This made him experiment, design, and tinker with his guitars. As early as the 1960’s, Tom began developing his own pickups and designed guitars that would be aimed at a sound that no one else had. He also began making modifications for other guitarists and doing their repairs. 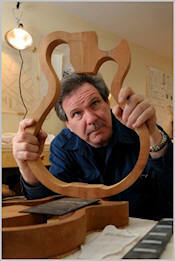 He became so well known for his creative work and started his own Luthier business in 1970.  This was the foundation for Tom to begin developing of his own guitars and unique pickups. In addition to being an exceptional guitarist, Tom has been a luthier for over 50 years and currently runs his own guitar building school in New Jersey. 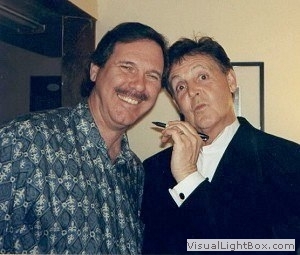 He has built, customized, repaired, and modified guitars for such artists as George Benson, Sting, Bucky Pizzarelli, Al Caiola, Al Dimeola, Tony Mottola, Jimmy Page, and Les Paul (of course), along with many, many more... too numerous to name. Tom now plays his own handmade “Doyle 1850 Guitar” featuring his own low impedance pickups. Through the years, as fate would have it, a student guitarist and singer, Sandy Cory, came into the picture. Tom saw Sandy’s great talent and began to do gigs and shows with her as part of the act. This partnership slowly started to be perfected and developed into a fantastic duo. 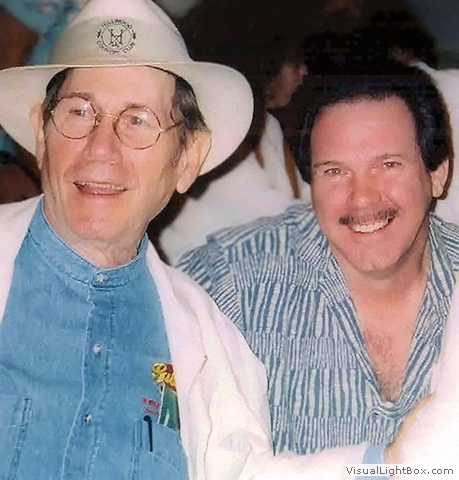 Since the passing of Les Paul, “Tom & Sandy” were the opening act in the Les Paul room at the Iridium Club in NYC on Monday nights for The Les Paul Tribute. 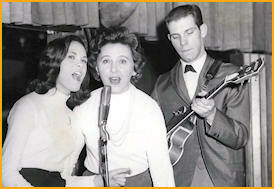 They perform their own songs as well as those of Les Paul and Mary Ford. 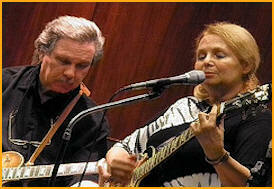 Together they have received rave reviews of their performances at the Chet Atkins Convention (CAAS) in Nashville. 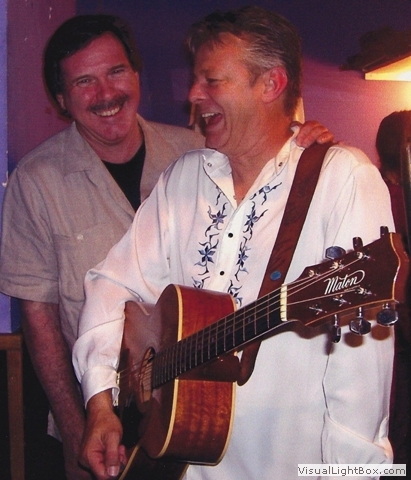 Tom and Sandy combine beautiful instrumentation of guitar, vocals, flute and drums, which they perform regularly at various clubs, private parties, and benefits around the country. 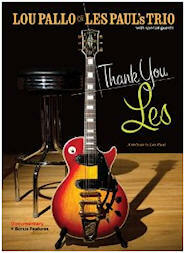 Over the many years of working with Les Paul, Tom has acquired an amazing first hand account of musical history, the invention and development of the electric guitar as we know it, along with many remarkable and important pieces of memorabilia, artifacts, and several very valuable historically significant guitars. Tom is currently working with several “notables” to bring this collection to the world. These pieces represent possibly some of the most important musical finds of the last century, as well as symbolize Americana and our collective musical culture (more on this later). In addition, Tom is currently in the process of writing his memoirs - The ultimate biography about Les Paul… the man, the myth, the creative genius, the guitars, the inventions, the up and downs… all of it! 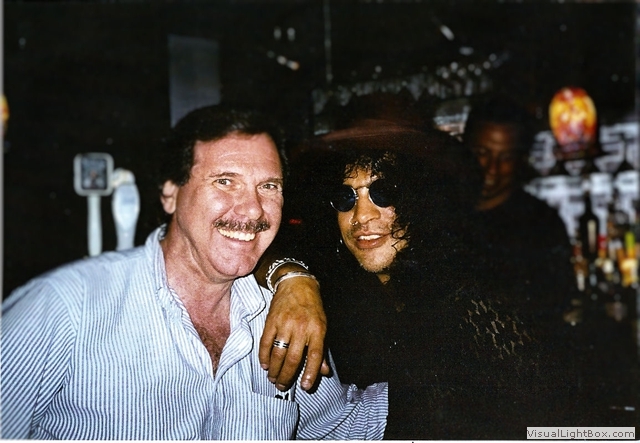 While several have attempted to tell the story, they were simply interlopers into Les Paul’s personal world or were written from the standpoint of the Gibson guitar collector. No one was there for as long, as consistently, and with such a “hands on” approach in Les’ life other than Tom Doyle. Let’s put it this way… often Les Paul has been compared to Alexander Graham Bell for his ingenious approach to inventing and ingenuity, etc. To continue that comparison, Tom Doyle was the “Watson” to Les’ Alexander Graham Bell, his right hand man for over four decades! While others could merely speculate or relay rumor and myth, or perhaps parley “spin” on account of the Master, Tom was there, in the room, for almost half a century…first hand. The legacy of Les Paul will finally be told… the unvarnished truth with no spin… and Tom will be telling the real story as it actually happened, The final word.